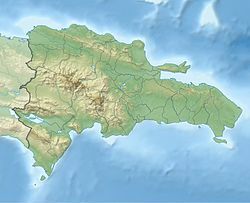 San Luis is a municipality (municipio) of the Santo Domingo province in the Dominican Republic. The District Municipality became a municipality on September 30, 2011. As of the 2012 census estimate the municipality, then a municipal district of the Santo Domingo Este municipality, had 301,062 inhabitants, 203,209 living in the city itself and 97,853 in its rural districts (Secciones). This page was last edited on 5 May 2018, at 02:18 (UTC).